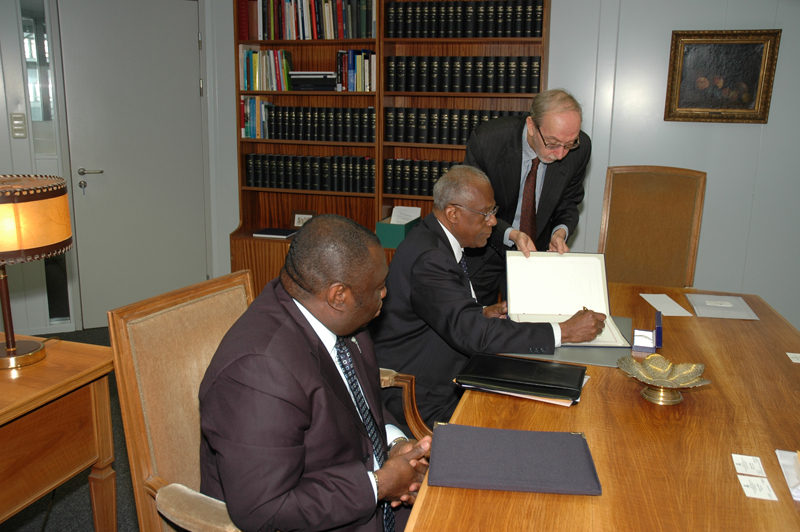 The Hague Conference on Private International Law is pleased to announce that on 2 March 2011 the Republic of Haiti signed the Hague Convention of 29 May 1993 on the Protection of Children and Cooperation in respect of Intercountry Adoption. By signing the Convention, the Republic of Haiti signals its wish and intention to reform its child protection system, as well as its intercountry adoption system, which is an essential starting point for the ratification of the Convention. His Excellency Mr Raymond Magloire, Ambassador of the Republic of Haiti, signed the Convention at the Ministry of Foreign Affairs of the Kingdom of the Netherlands in The Hague. This is the first Hague Convention which the Republic of Haiti has signed, making it the 138th State to be "connected" to the Hague Conference. The press release can be consulted here.